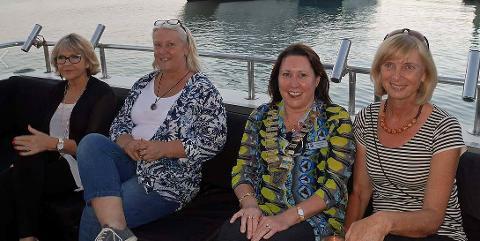 Looking for a Whale Watching experience you will remember and want to talk about for a long time? 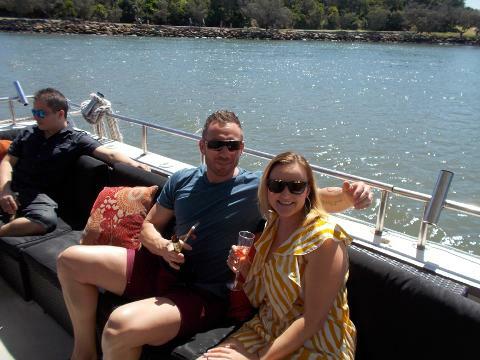 Crusader 1 is limited to 22 passengers therefore offering you a personal day out on the water with unobstructed views of these inquisitive majestic animals. Be in awe of the spectacular breaching, close encounters, magical songs and tail slapping of the Humpback Whales. Get up close and personal with these gentle giants of the sea and encounter pods of dolphins and turtles that are usually regular sightings. The biggest advantage of whale watching on Crusader 1 is that you will always have that rail side position, ready for that perfect photo. 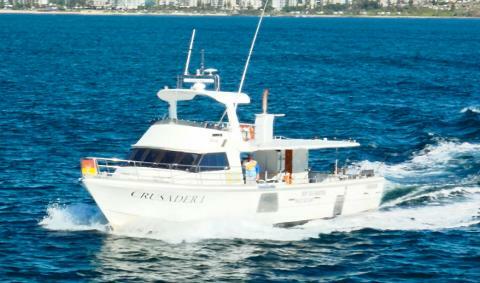 Crusader 1 is an open deck vessel which allows full walk around access even to the bow of the boat where you can watch the dolphins play and follow our path.